Bianca found her love for the piano at age eight and went on to complete AMEB examinations in Piano, Oboe, and Theory of Music. She has graduated with a Bachelor of Music (Performance) majoring in Classical Piano from the Melbourne Conservatorium of Music, The University of Melbourne. 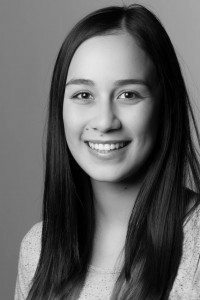 Bianca enjoys playing a range of styles and has performed in a variety of ensembles including concert bands, orchestras, chamber groups and in musical theatre productions. With over three years of teaching experience, Bianca enjoys guiding students of all ages and levels and is excited to create a positive music experience for her students here at High Street Music. Bianca Soh currently has lesson slots available on Mondays and Tuesdays at High Street Music Preston. Our music lessons service Melbourne’s northern suburbs including Preston, Ivanhoe, Heidelberg, Reservoir, Thornbury, Northcote, Bundoora, Coburg, Bellfield, Kingsbury, Fawkner, Thomastown and Lalor.